Comment: Screen door has tears. I need it to be re-screened. Elevator in building. Comment: I would like to get an estimate for installing screens for my porch and I have a door that needs to be screened too. Thank you! Comment: I would like to get an estimate for installing a screen for my door on my porch as well as enclosing the entire porch with screen. Lutherville Timonium Window Replacement Companies are rated 4.51 out of 5 based on 4,224 reviews of 35 pros. 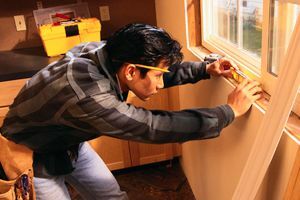 Not Looking for Windows Contractors in Lutherville Timonium, MD?